This week I’m teaming up with talented photographer, Rebecca Spencer for her advice on how to be a photographer. 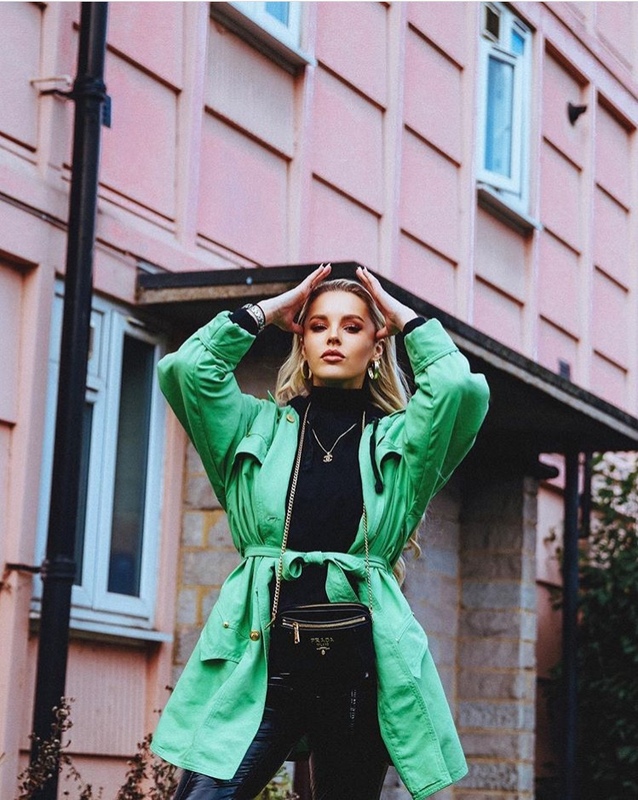 The British born snapper has worked with the likes of Georgia Louise Harrison for Boohoo, Sarah Hashcroft and Made in Chelsea’s Binky Felstead for In The Style and Sorella and Betsy-Blue English for Prada! Rebecca, who is self-taught is now travelling from beach to city all over the world on shoots. 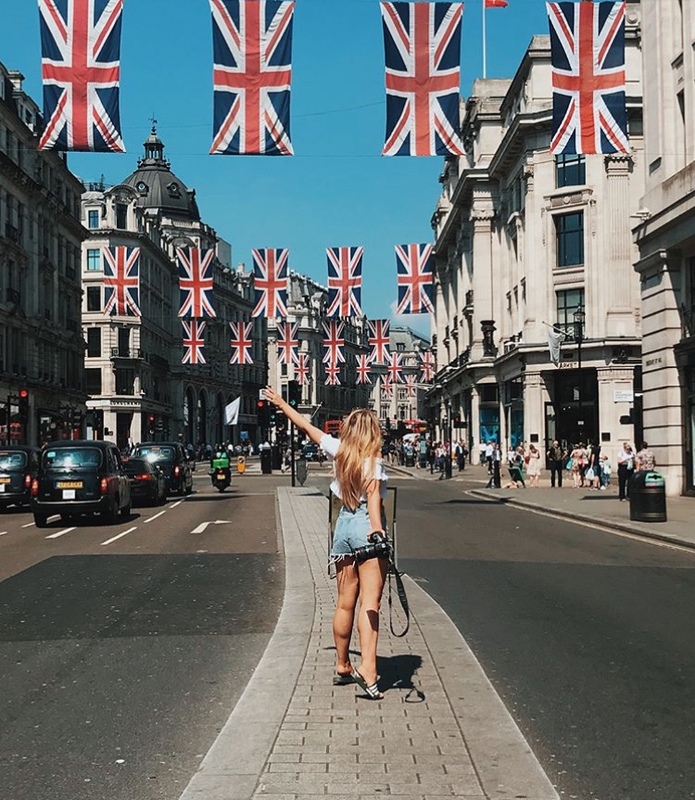 In an interview with What She Blogged, she gives us her five top tips for getting your images into the spotlight and how she turned her hand at photography and gaining a following of over 32K! Hi Rebecca, first off, amazing to speak to you today, I’ve just finished watching your vlog, ‘photoshoot in the country- bluebells and buttercups’, I love it! I think it’s such a great idea to give your followers insight into what goes on behind the scenes. How long have you had your YouTube channel? Rebecca: Hi Laurabeth! I’ve had my channel for about year I would say, but only the last 5 months I have been really thinking about my content and I LOVE YouTube so much as it gives me more of an opportunity to be creative. Can you tell me about the first time you held a camera and why you chose to be a photographer? Rebecca: I used to be obsessed with the old film cameras when I was a child and used to get very excited about when my mum would bring down the old photos. I chose to be a photographer when studying Art GSCE, I just loved that I could create what I could see in my head but also capturing my friends and family. Are you self-taught or did you do any courses? 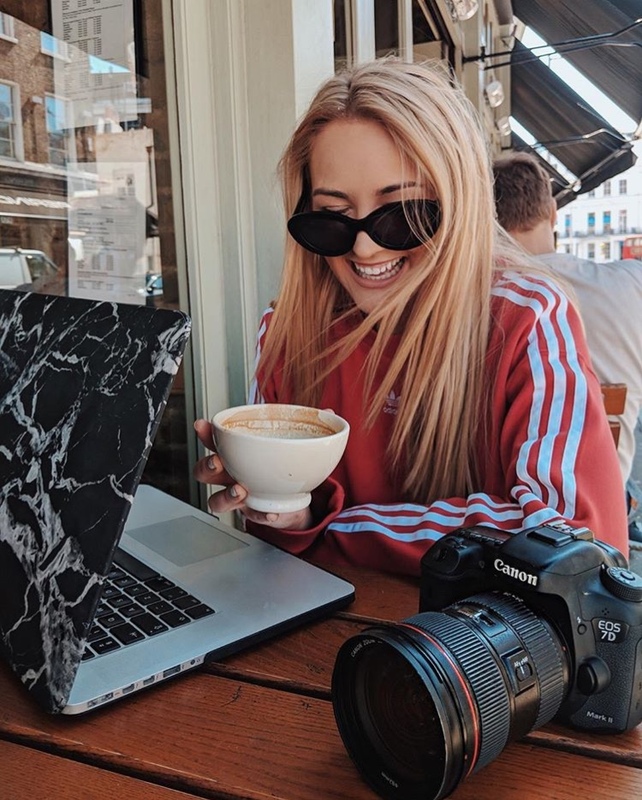 You’ve been working with bloggers and models like Kady Mcdermott, Amy Neville, and Sarah Hashcroft; how do you prepare for your shoots, is there a thought-process you go through when creating your visions for your clients? Rebecca: Yeah, every client I shoot is different and when shooting for different people I know what camera they prefer and what type of shots they use on their Instagram pages. My thought process is normally Pinterest if I’m looking for inspiration and I like to ask the client what sort of clothes we are shooting so I can work out ideas for locations. Lighting isn’t always our best friend when taking photos so, what editing software what would you recommend for the student ‘on a budget’ photographer and the professional ‘no expenses spared’ photographer? Rebecca: For desktop 100% Lightroom from Adobe! It’s my go to. But cheap apps I would recommend Snap Seed, VSCO and you can also get Light Rooms on your phone too. Also, you must have hundreds of cameras, but which ones do you lean towards the most and why? Rebecca: I just got the Canon 5D mark iv, so this is my go-to at the moment as it’s been a dream to own this camera! My first camera was a Canon G7 X Mark II Powershot, and I use it for video interviews, as well as landscape photos around my hometown and I’ve just seen your vlog on the ‘The Tog Bag’, which looks completely ideal and not obvious that you’re carrying around lots of expensive equipment, but what about tripods? What would recommend being both fashionable and conspicuous when carrying larger equipment like that? Rebecca: That’s exactly why I love the Tog bag as its not obvious. I don’t tend to use tripods, I prefer to just use my camera. Instagram has been a great outlet for you, how has social media become a tool for your business and what are your top five tips on getting your account into the spotlight and generating a following? For you, you’ve managed to turn your passion into a business, can you tell me how the most important lesson you’ve learned along the way? Rebecca: Sometimes I can give too much as that how I am as a person but when it comes to business I have had to learn that I can’t do everything. Is there any advice you would give to someone who wants to go pro? Rebecca: Just do it and work as hard as you can. Keep to your style and give 100 percent. What’s your aspirations in the next year for your business? Is there a bucket list? Rebecca: I want to maybe open up some photography workshops and to work in Tokyo is defo on the bucket list.